I recently bought the Nextcloud Box. When it came to setting it up I ran into a problem, I only had Raspberry Pi 3 computers available and at the time of writting the microSDHC card provided with the Nextcloud Box only supports the Raspberry Pi 2. Bummer! This guide outlines how to use Ubuntu Core on the Raspberry Pi 3 to run Nextcloud provided as a snap from the Ubuntu store. I explained the main steps in this post but you really should read and follow the Get started with a Raspberry Pi 2 or 3 page as it fully explains how to use a desktop computer to download an Ubuntu Core image for your Raspberry Pi 2 or 3 and copy it to an SD card ready to boot. Use GNOME Disks and its Restore Disk Image… option, which natively supports XZ compressed images. Making sure the SD card is still selected, click the Power icon on the right. Eject the SD card physically from your PC. You’ll need a keyboard and monitor connected to the Raspberry Pi 3 to go complete the first boot process and device configuration. Insert the Ubuntu Core microSHDC into the Raspberry Pi, which should be in the assembled Nextcloud Box with a keyboard and monitor connected. Plug in the power. The user name is your Ubuntu SSO user name. Log in to your Raspberry Pi 3 running Ubuntu Core via ssh. 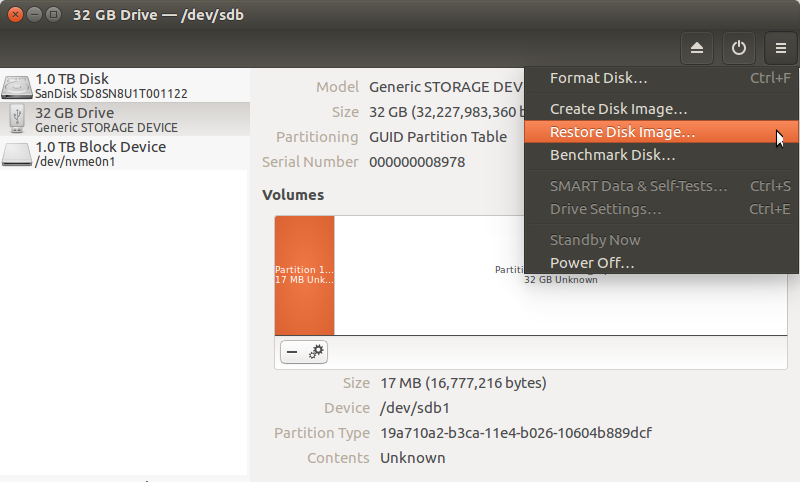 This will create a single partition formatted with the ext4 filesystem. Created a new DOS disklabel with disk identifier 0x253fea38. Most of the Ubuntu Core root file system is read-only, so it is not possible to edit /etc/fstab. Therefore we’ll use systemd to achieve that. Yes that’s right! The unit filename must match the mount point path. Start the media-data.mount unit, which will mount the volume, and also enable it so it will be automatically mounted on boot. Make sure Ubuntu Core is up-to-date and reboot. After the reboot, make sure /media/data is mounted. If not double check the steps above. In the examples below replace nextcloud.local with the IP address or hostname of your Nextcloud Box and replace example.org with your domain. It is strongly recommend that you use HTTPS if you intend to expose your Nextcloud to the Internet. Looks like you're ready for HTTPS! If Let’s Encrypt didn’t work for you, you can always use Nextcloud with a self-signed certificate.